Union County Sheriff Ralph Froehlich (2nd left) congratulates the winners of the 3rd Annual Union County Sheriff’s Pistol Competition at the Union County Sheriff’s Firearms Training Facility in Springfield. 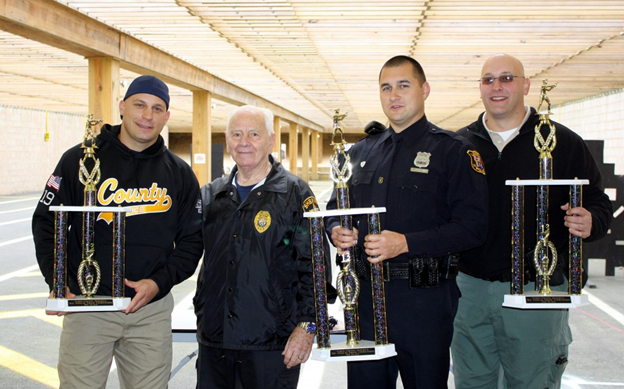 Officer Vincenzo Wegrezynek (2nd R) of the Linden Police Department won 1st Place. Union County Sheriff’s Sergeant Carlo Caparruva (R) took 2nd Place. Union County Police Officer Dino Capra (L) took 3rd Place.